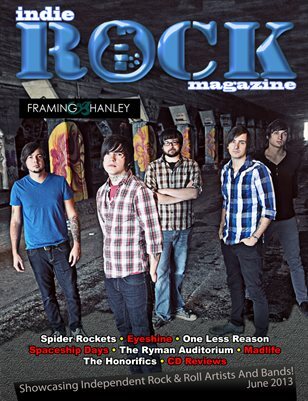 In this issue we have exclusive Framing Hanley, Spider Rockets, Eyeshine, One Less Reason, Spaceship Days, and Madlife interviews. A great article on The Ryman Auditorium and The Honorifics Indie Music Channel Award win. Plus the CD Reviews and much more. Read NOW!